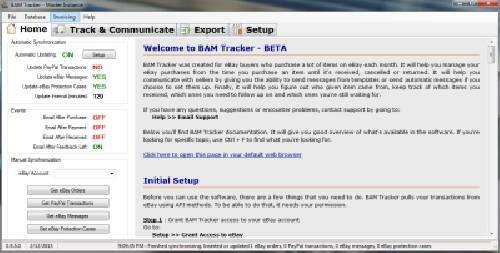 BAM Tracker is a software created specifically for eBay buyers who purchase a lot of items on eBay each month. 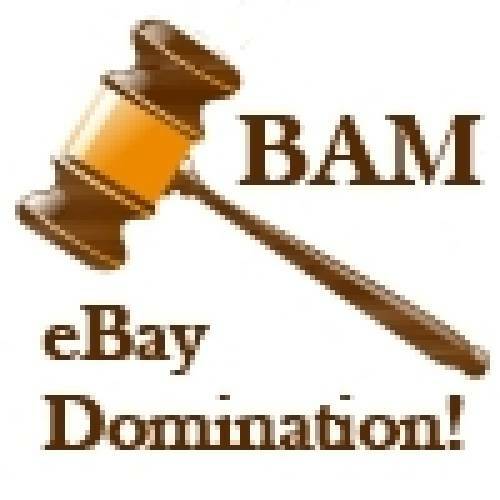 It allows you to track your eBay purchases from the time auction is won until you receive it, return it, dispute it or cancel it. 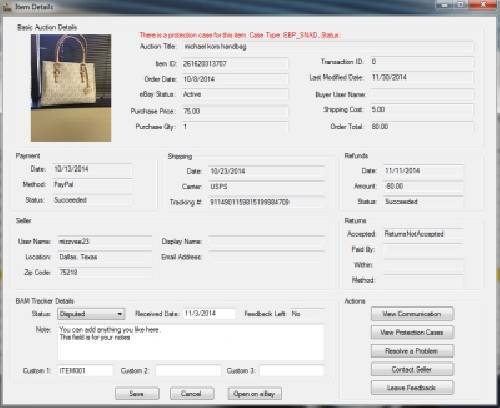 The software synchronizes with eBay and stores all you purchases locally on your computer, updating new information as it updates on eBay. 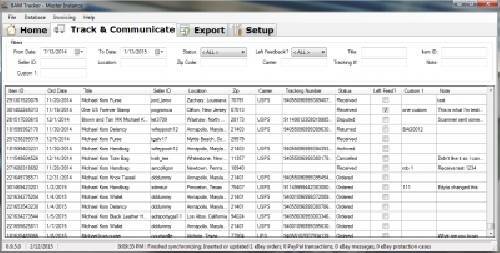 It can also synchronize with PayPal getting information such as email address of the seller and their name. BAM Tracker allows you to send automatic messages to sellers right after purchase, after payment, after you receive an item or after you leave feedback. It makes the job of figuring out who given item came from a lot easier by allowing you to quickly search using fields such as eBay item number, seller user name, tracking number, seller location, zip code or even seller name. It helps you communicate with sellers, leave feedback and track disputes. 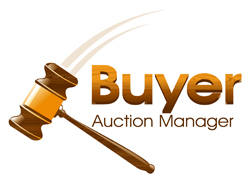 To learn more about BAM Tracker, visit Buyer Auction Manager website. This listing has been viewed 4983 times.